Dante Alvarado Leon is from Chula Vista, California and is currently a third year student at the University of California, Berkeley, studying Business Administration. He is passionate about education, technology, and entrepreneurship. During his spare time, he enjoys leading Computer Science workshops around the Bay Area to local high school students as part of the Hispanic Heritage Foundation’s Code as a Second Language initiative. This summer he also had the opportunity to intern at Facebook. He would not be where he is right now if it wasn’t for the support he received from his mentors, and that is the reason why he wants to make sure that every student has access to a mentor. He strongly believes that education is our compass to make history and leave a legacy beyond the classroom. 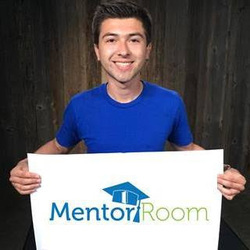 His personal journey motivated him to pursue his passions and build something beyond himself via MentorRoom. With the help of the Bay Area Inspire Awards, MentorRoom will connect high school students with college students and college students with young professionals through a mobile app and online platform.